Inspire & Renew Hope. Professionals Working with Families in Mental Health. 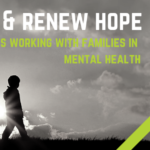 This workshop is for professionals who want to learn more about how they can support families using the recovery approach to mental health with a focus on inspiring and renewing hope for both the family member and their loved one. Read more for details. Inspire & Renew Hope. Professionals Working with Families in Mental Health. […]Continue readingInspire & Renew Hope. Professionals Working with Families in Mental Health. Photovoice 2014: What Makes You Come Alive? The Canadian Mental Health Association proudly presents Photovoice 2014. Using cameras and storytelling, eight community members from the Canadian Mental Health Association explored the question: What makes you come alive?The Canadian Mental Health Association proudly presents Photovoice 2014. Using cameras and storytelling, eight community members from the Canadian Mental Health Association explored the question: What makes you come alive? The […]Continue readingPhotovoice 2014: What Makes You Come Alive?